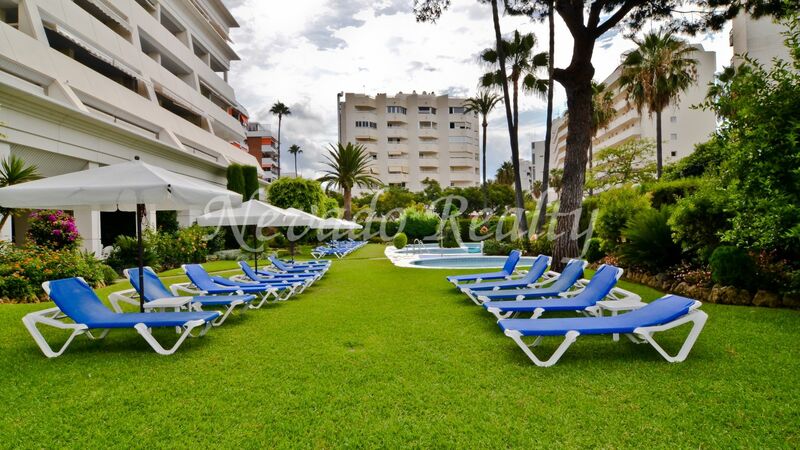 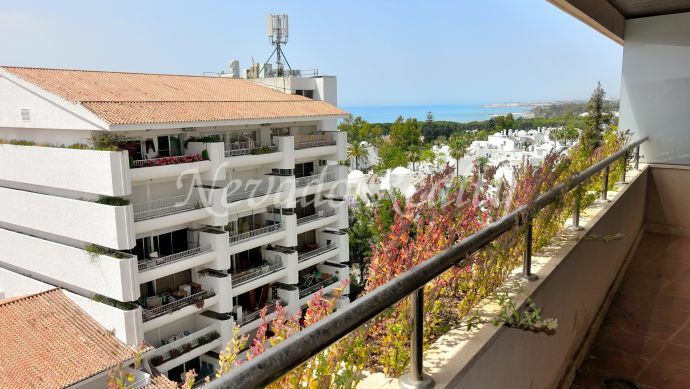 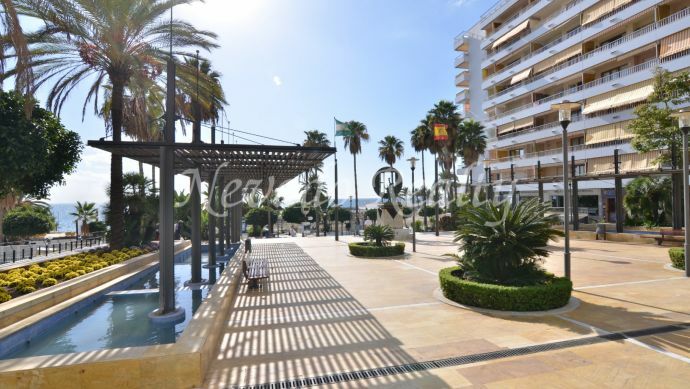 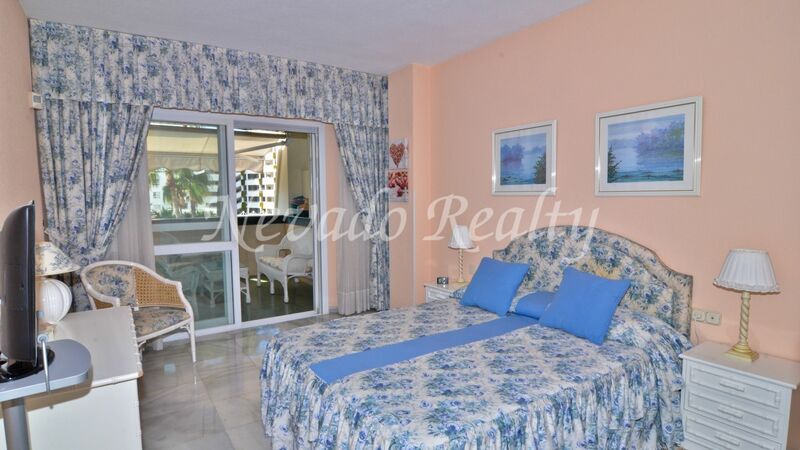 Quality south facing apartment in Atrium, an exclusive complex in Marbella Centre located in second line beach with 24 hours security y lots of privacy. 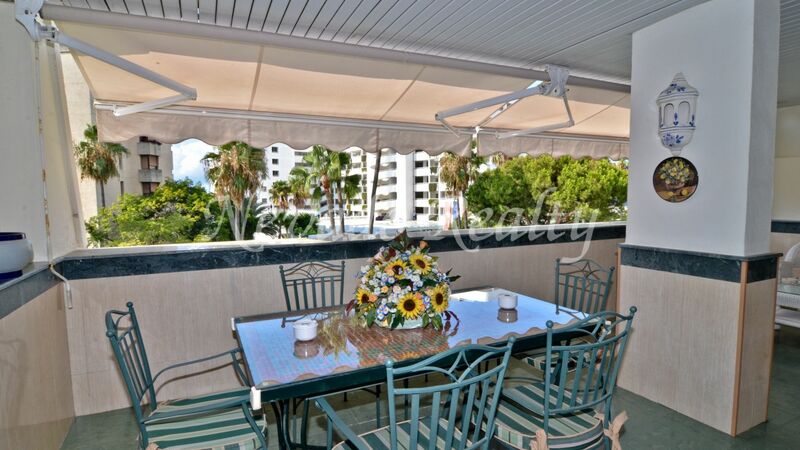 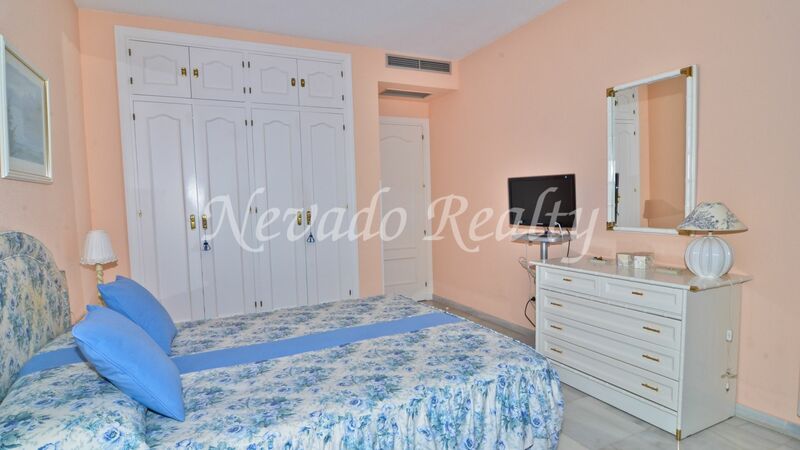 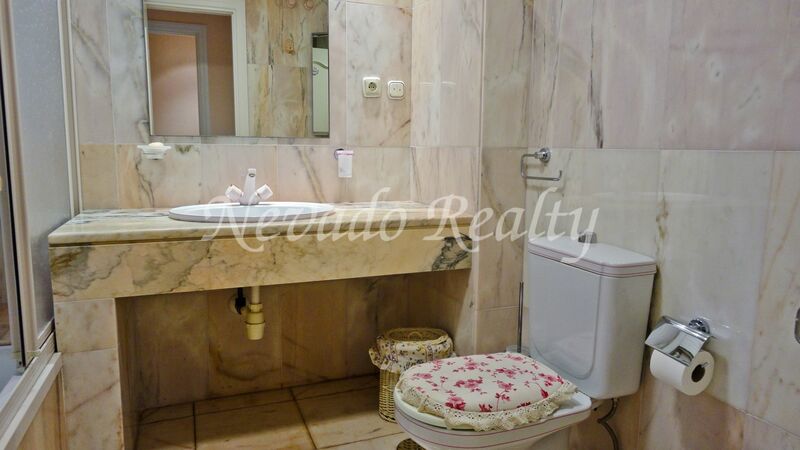 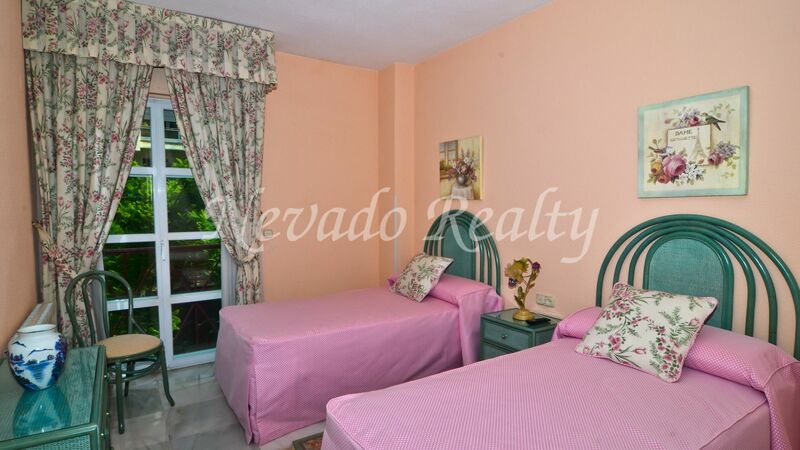 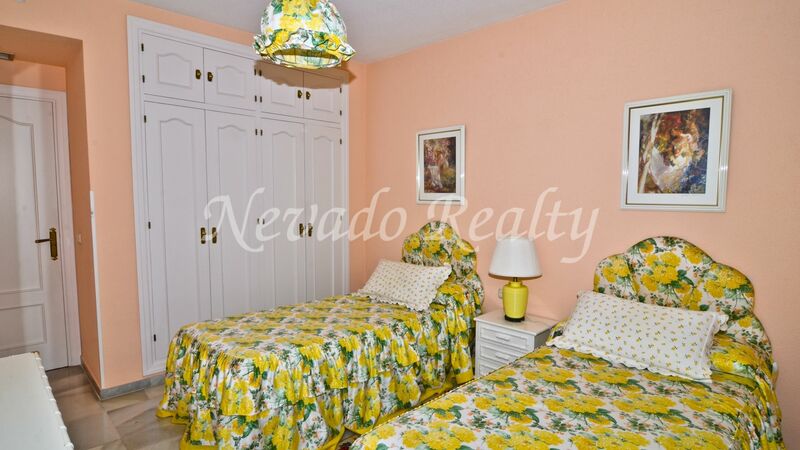 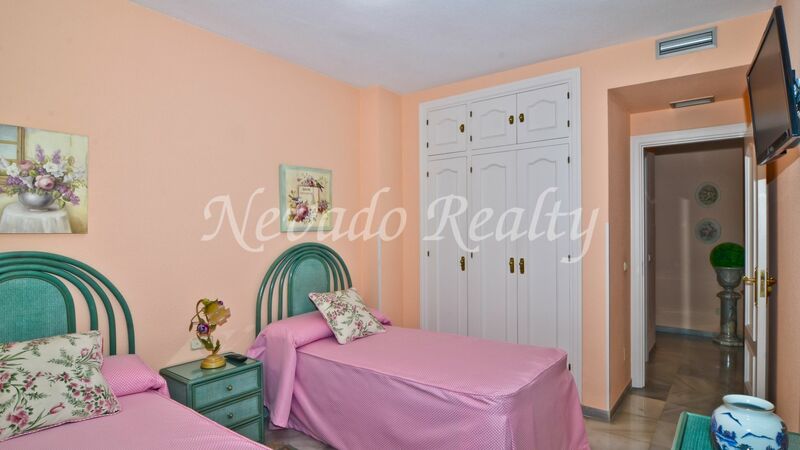 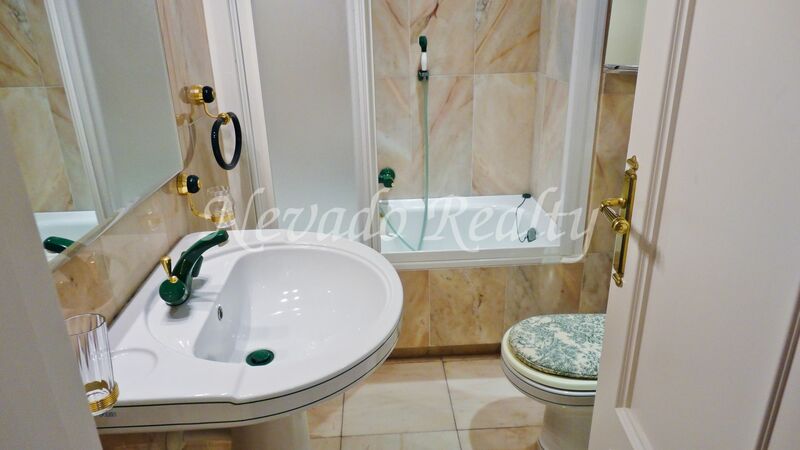 The property is in one of the most sought after residential areas, by the Paseo Marítimo and the beach, with manicured gardens, swimming pool and paddle. 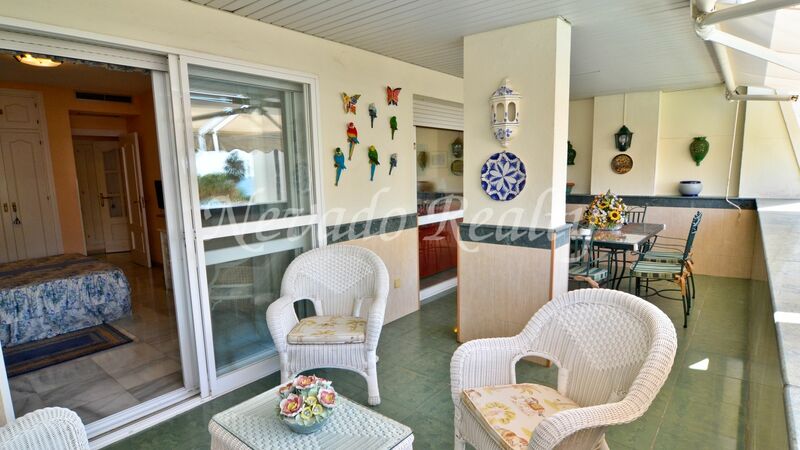 The house comprises entrance hall, living/dining room which leads to the covered terrace with breakfast and relax area, offering nice views to the sea, the community gardens and the pool, ; master en-suite bedroom with access to the terrace, 2 guest bedrooms, one of them en-suite and fully fitted kitchen with new appliances. 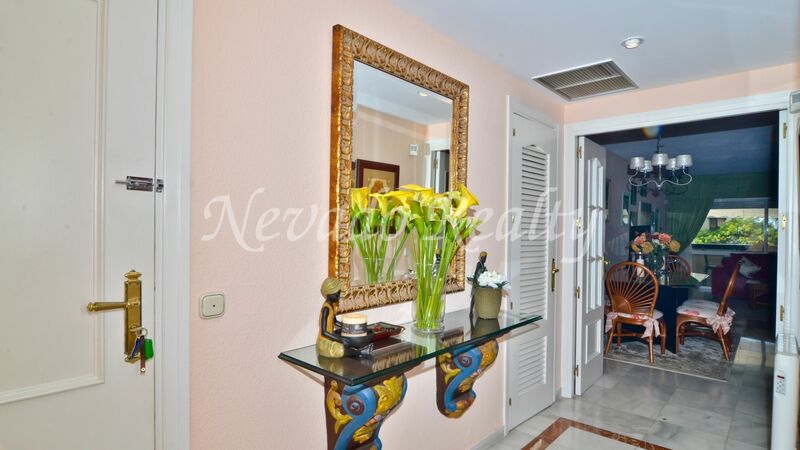 Electric shutters, double glazing, A/A hot and cold and radiant heating are other features. 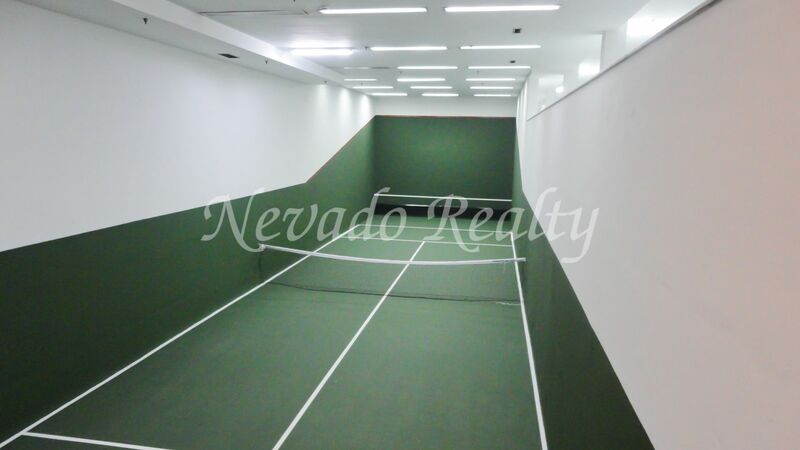 Includes 2 parking spaces and 2 storage rooms. 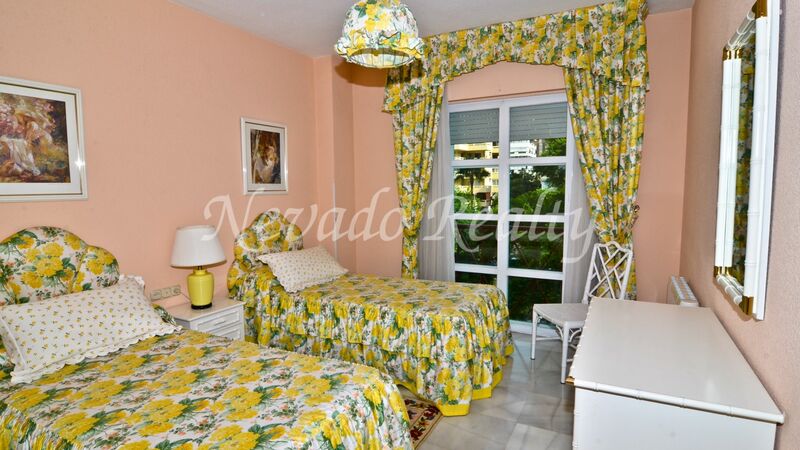 A property to live all the year round or to be used as a holiday home, having great rental potential. 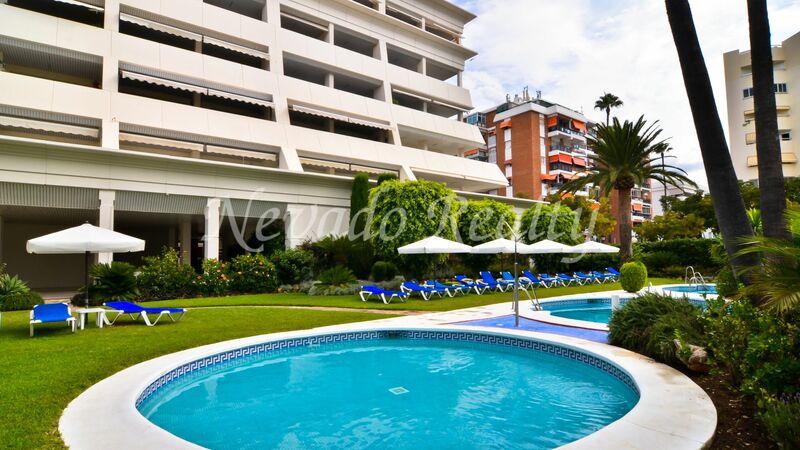 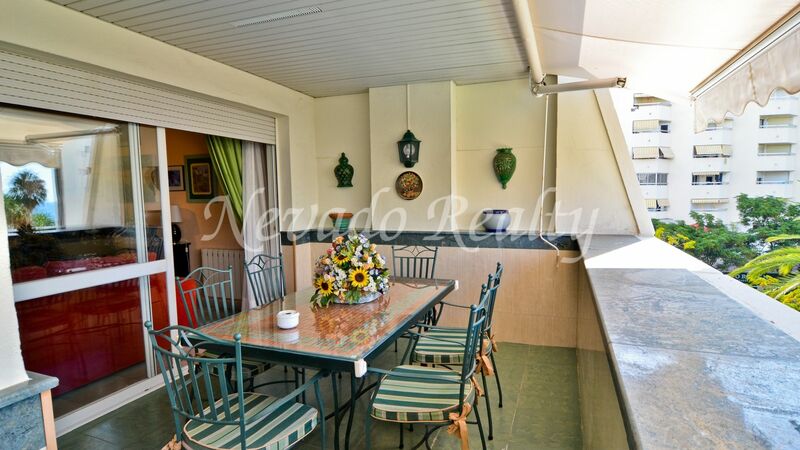 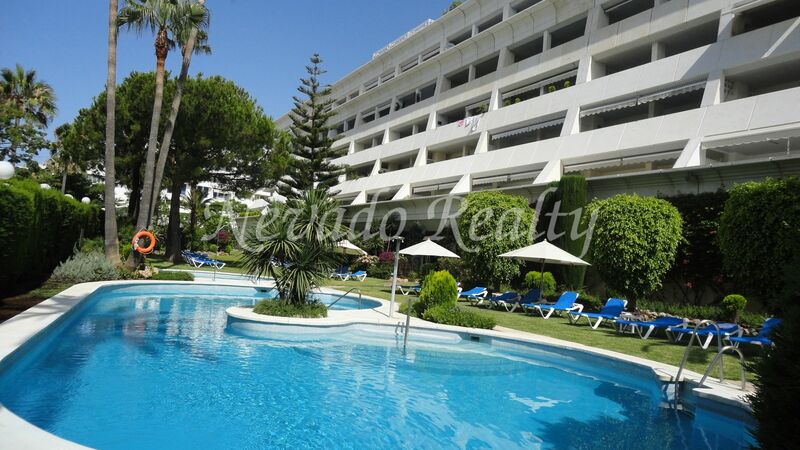 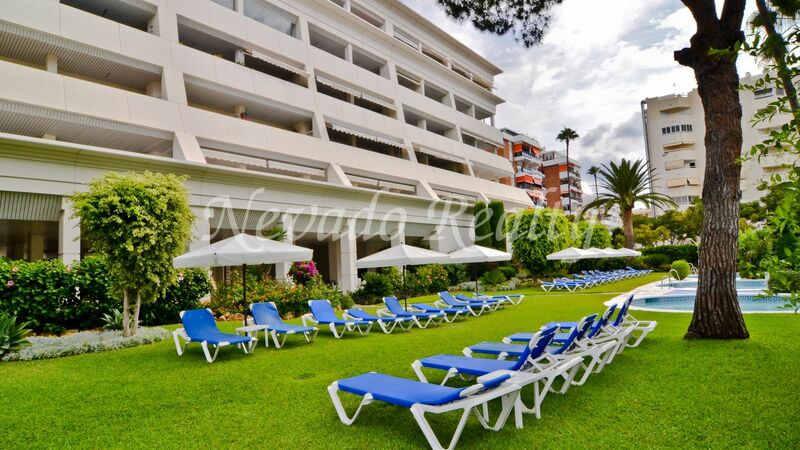 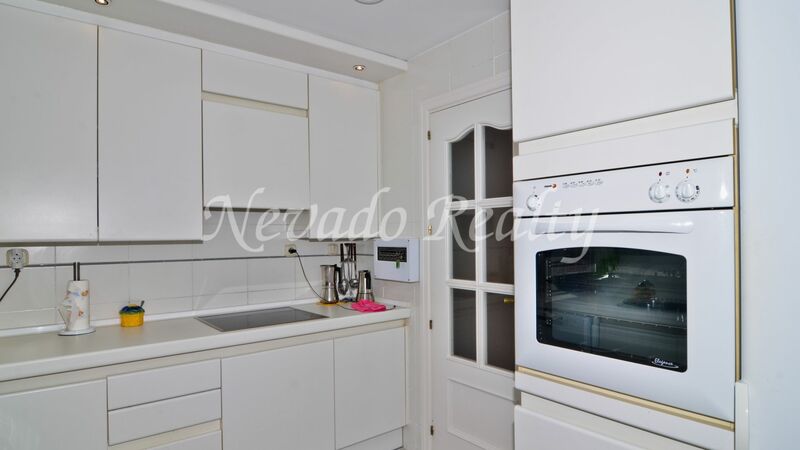 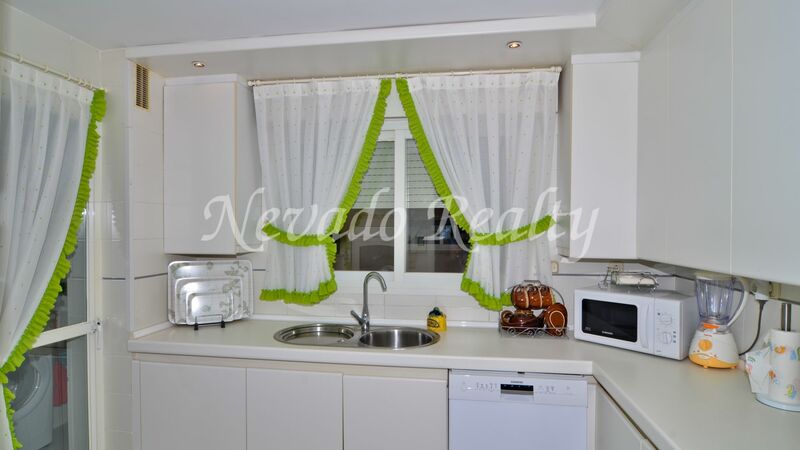 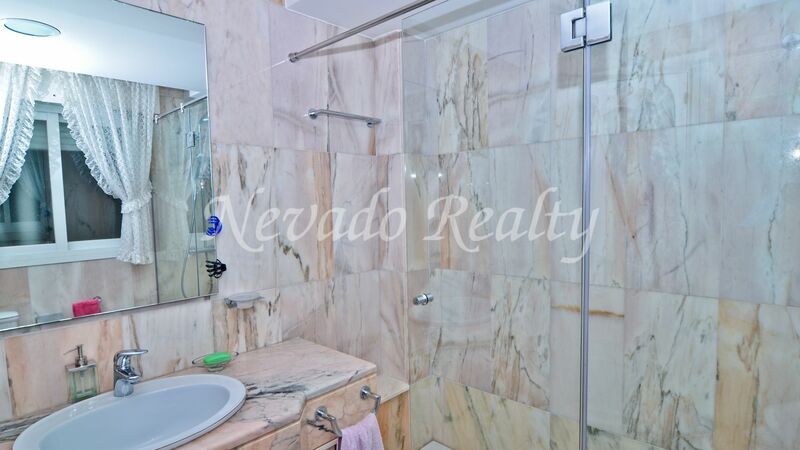 Please send me more information about ref 163-01624P, Apartment in Atrium, Marbella Or similar properties.